Large dual-diaphragm side-address condenser vocal microphone. The KSM42 is a premium side-address, cardioid condenser microphone featuring a large dual-diaphragm capsule, optimized for world-class vocal recording and performance applications. With a tailored frequency response and extensive internal and external pop filtering, the single-pattern, dual-diaphragm design of the KSM42, which includes Prethos Advanced Preamplifier Technology exhibits an exceptionally smooth proximity control and ultra-wide dynamic range. 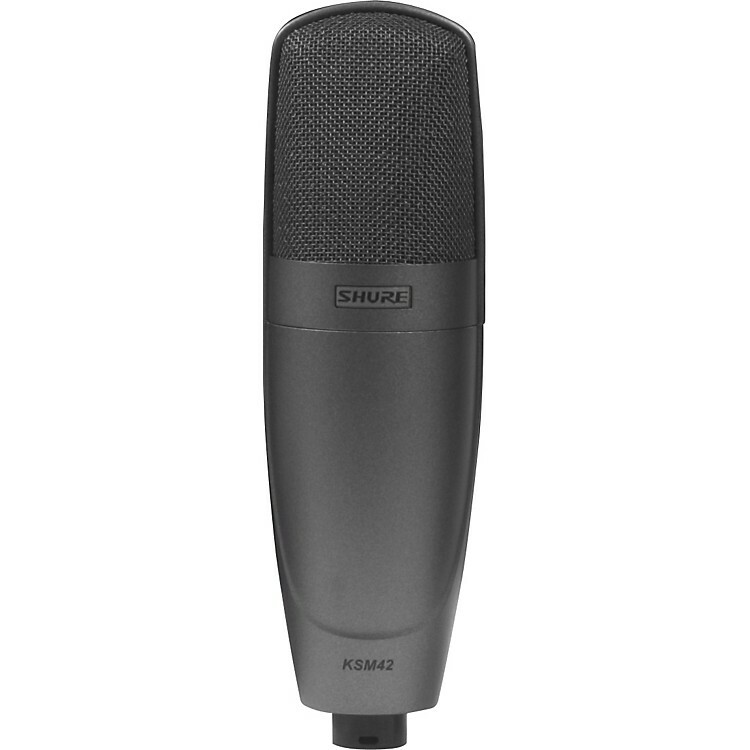 The KSM42 is the premier choice for capturing sophisticated, powerful, and intimate vocal performances.